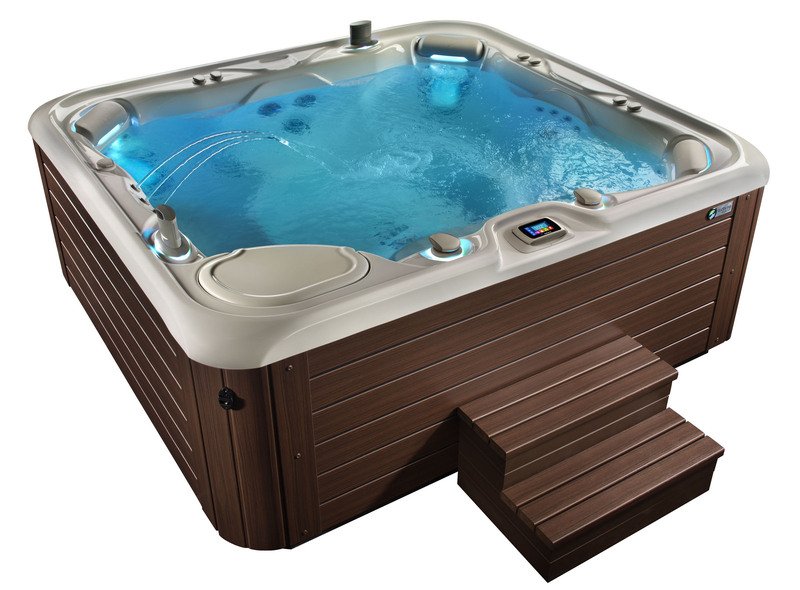 The saltwater system is the hottest feature of spas today. The saltwater here means that tub uses salt water sanitizing system which makes your spa experience much more incredible than ever. The main benefits that you can get from the salt water sanitizing system are less chemical usage and give you silky water. 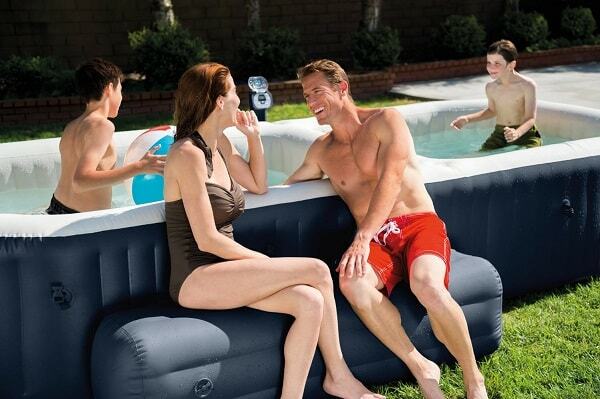 Saltwater system is so useful both for effective spas maintenance and improves your hydrotherapy sensation. 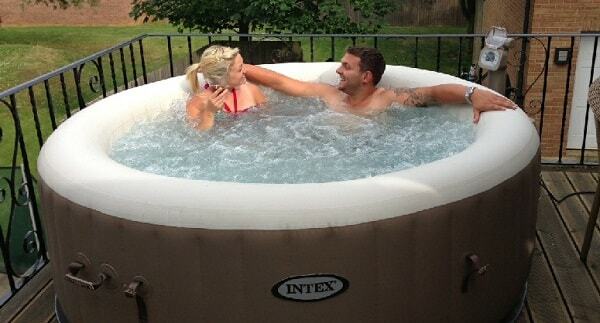 There are numbers of hot tub brands that produce saline hot tubs, and one of them is HotSPpring Hot Tubs. This one of the world’s most reliable spas manufacturers has its signature salt water sanitizing system called ACE Salt Water System. Its tagline is “With easy to care spa water that looks, feels, and smells great, you’ll spend more time in a HotSpring spa”. 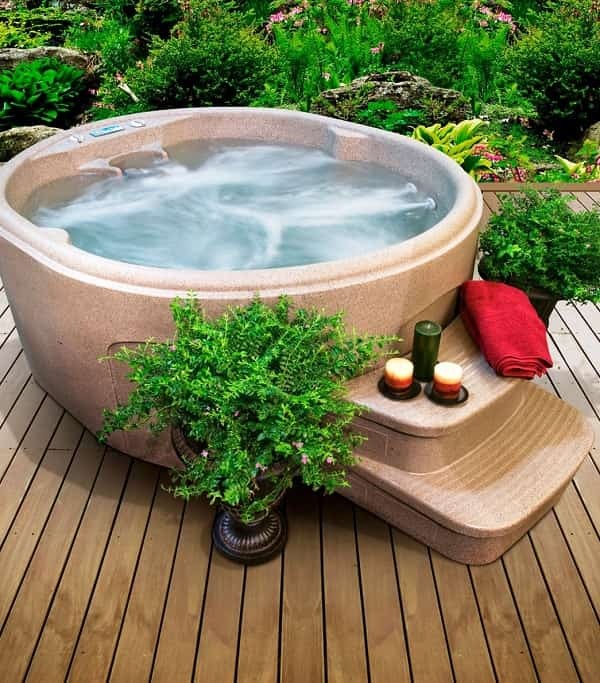 Indeed, the better the water quality is, the more time you want to spend inside your hot tub. 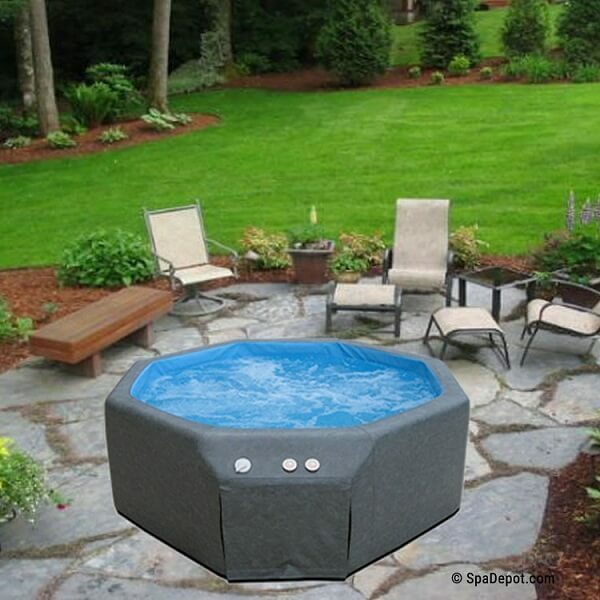 ACE Salt Water System is compatible with all hot tubs from HotSpring. 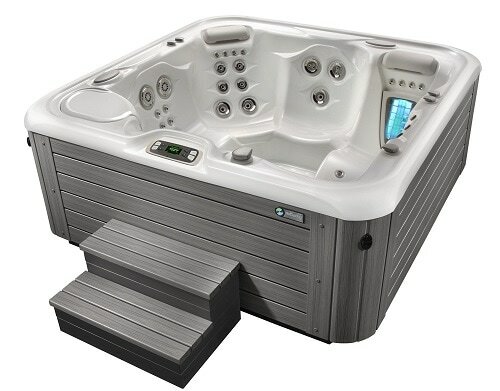 In this saltwater hot tub reviews, we are going to talk about Highlife Aria which is a hot tub model from Highlife collection and has received the Consumer’s Digest Best Buy Award for three times. 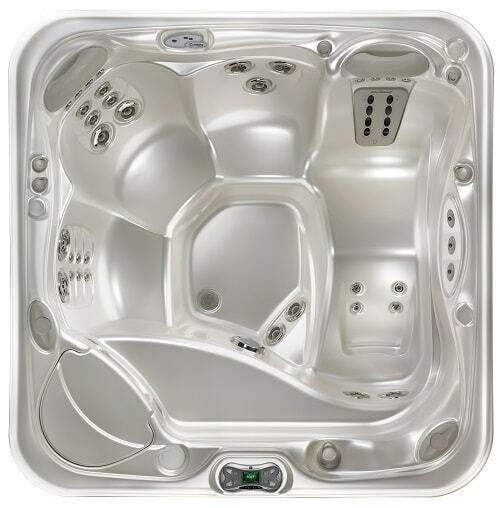 This is a 5-person spa that offers you lots of features and stunning design. 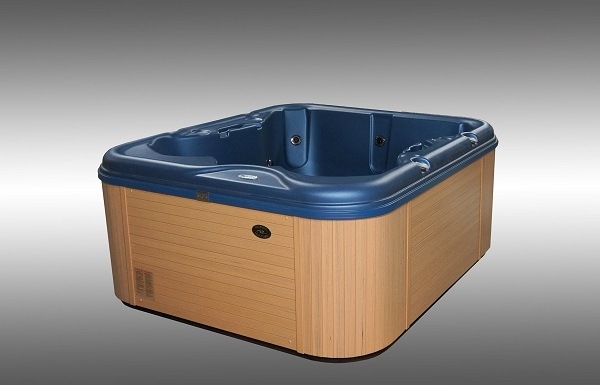 As the premium collection of Hotspring Hot Tub, this model looks beautiful and stunning to place in your backyard. The innovative design of Everwood cabinet and attractive shell color will just amaze everyone. Aria can fit for 4 to 5 adults with 220 cm x 220 cm x 91 cm dimension. The fifth seating is the lay down longer seat which is so comfortable for your relaxing time. The lighting system that is placed inside and outside of the spa makes it look more stunning, especially in the night. The light that turns to blue, green, and read will just make you feel fancy than ever. To set all the spa features, the easy-to-use intuitive LCD control panel is provided in Aria spa. You may ask, “Does it make the water salty?” No, it is not, because you only need just a little bit of salt, for about 2 pounds for 100 gallons of water. Total insulation with multiple layers of foam to keep the heat. SmartJet system which allows you to use only desired jets. It cost about $10 per month for medium usage frequency in warm ambient temperature. Of course, the cost depends on your usage frequency, the ambient temperature, and the temperature you set. 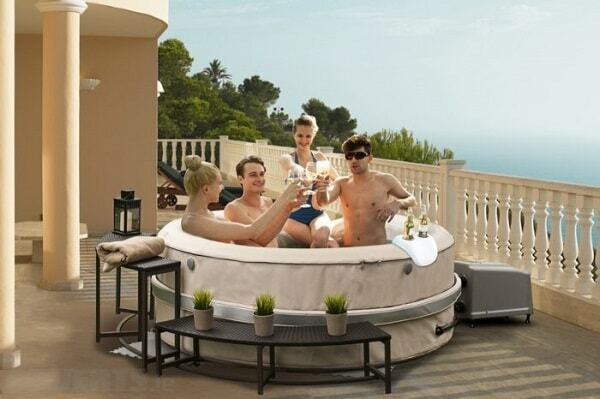 Aria is a premium kind hot tub, so you have to dig deeper into your pocket. 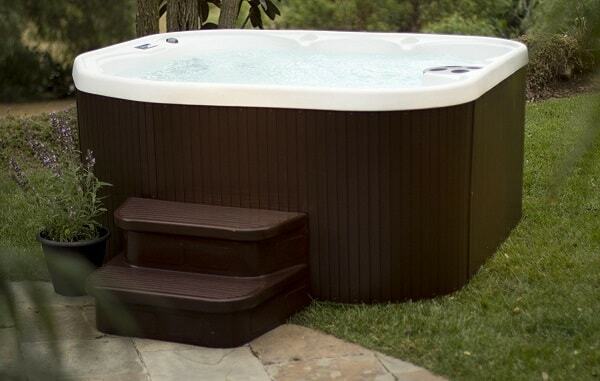 At hottubarn.com, Aria hit tub is sold for $13,700. It must wow you, isn’t it?